Hanging your binoculars over your neck for hours can actually be a “pain in the neck”. However you can stop this pain that comes from your binoculars neck strap by getting a harness instead. Binoculars harness is the most convenient and comfortable way to carry your binoculars for hours. But you must choose the right harness to ensure comfort and good performance. The click Bushnell Deluxe Binocular Harness is one of the best binoculars harness you can rely on. This binoculars harness is designed to allow you to use your torso and shoulders to support the weight of your binoculars, rangefinders, or light cameras rather than your neck. 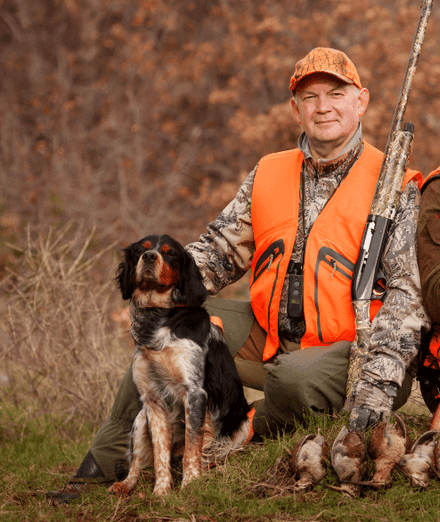 It may be that yours is a different case where you have to always fumble for your binoculars just to glance something during your hunting exercise, and by the time you retrieved your binos from the pack the opportunity has passed. The Bushnell Deluxe binoculars harness is still your option for a timely view with your optics. Flexible Straps – The straps are made of an elastic material with which you can keep your device comfortably upon your chest even when you engage in an active, bouncing activity like running or riding a horse without the risk of getting damaged. Quality Materials – Made with a 100% quality materials used and tested extensively. Guaranteeing long lasting usage. Beautiful Design – The Bushnell Deluxe Binoculars Harness is a combination of beauty and durability. Weight Distribution – The harness disperses the weight of your device on shoulders and torso making it easy and comfortable to carry your binoculars. Quick Retrieval – Optics rest below chin for easy retrieval and quick sighting. Perforated Back Panel – The wide perforated back panel supports heavy binoculars. Product dimension – It measures 5.9 x 1.3 x 7.6 inches (LXWXH) and weighs 4.2 ounces. Strong Built – The Bushnell Deluxe Harness is constructed in a very strong way. Lightweight – A very light product that can be used effortlessly. Wearing it makes the binocular become very light. Good padding – The harness is well padded to cushion it and make it less hard on your body. 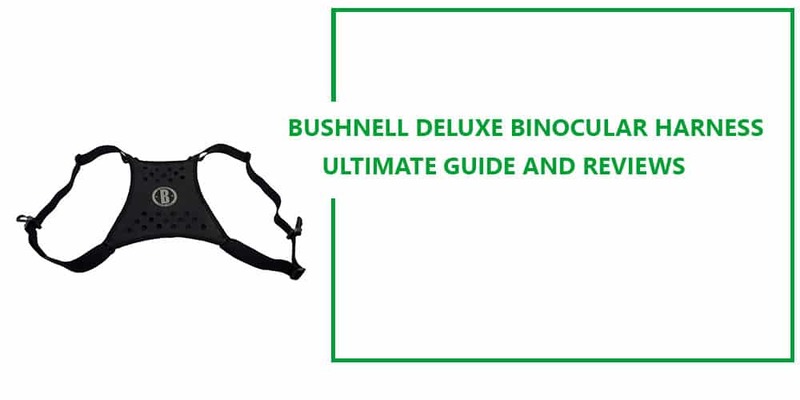 Comfortable And Easy To Use – The simple design of the Bushnell Deluxe Binocular Harness makes it the easiest harness to use and very comfortable to wear too. Having known what a harness is and the benefits of using one, I feel that you will no longer go hunting, bird watching or other outdoor and indoor activities without your binoculars harness. After spending so much money to buy your optical tool it will be an unwise decision not getting for yourself a far cheaper harness to lessen the burden of carrying it, stop your neck getting sore, protect your device from damage, and prolong its usage. 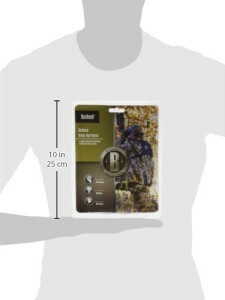 And what other product can serve you better than the Bushnell Deluxe Binocular Harness.